Hosting a yoga retreat at Playa Viva has never been easier or more enticing! 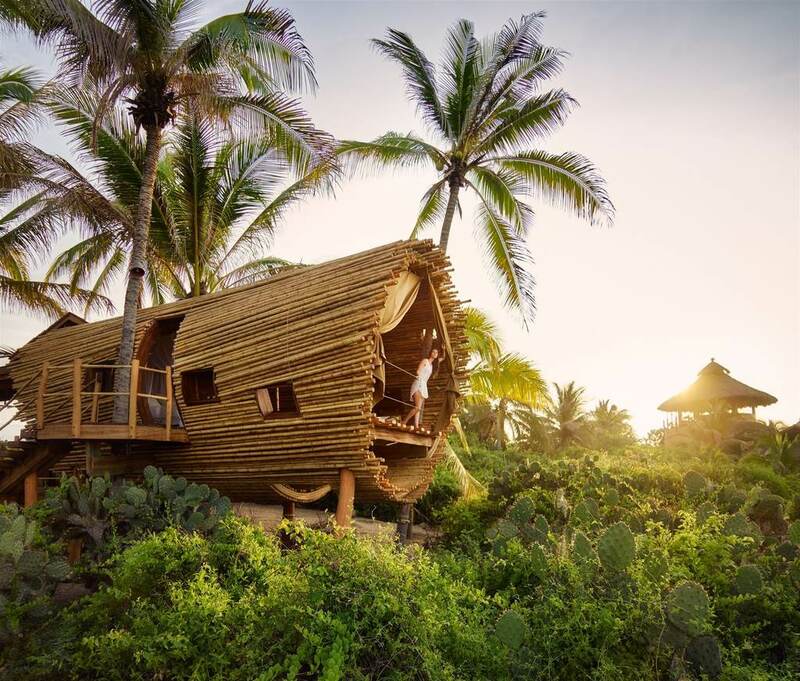 Located just 35 minutes south of Zihuatanejo-Ixtapa International Airport on Mexico’s Pacific Coast, Playa Viva is a gorgeous sustainable boutique hotel situated on 200 acres of beachfront property. Our friendly and experienced staff can ensure that your yoga retreat is perfectly value-aligned and executed so that your guests enjoy every second of their experience guilt-free. Playa Viva’s is a prime location for your yoga retreat for a range of reasons. Most importantly, our location offers visitors from all over the world a sense of place. Playa Viva is truly a special place that is peaceful, serene and undeniably beautiful. When you stay at our eco friendly property, you can expect a relaxing and therapeutic experience. Regenerate your soul at our sustainable boutique hotel while exploring the wild terrain. By the end of even a week’s stay, you will experience wellness, adventure, and inspiration. Yoga retreat attendees will return home feeling both rejuvenated and well rested. Playa Viva offers several locations for yoga including: Yoga Platform, Tower Observatory, Poolside and Beachfront. The flexible yet extensive yoga platform can host yoga retreat groups that are both small and large with up to 50 mats. Our yoga props are all Manduka lifetime and our top quality collection includes mats, blocks, straps and blankets that will make your students feel extra special. Additional equipment includes “back jacks” (portable backrests), wireless headsets and speakers. ● Alignment in Values – No one wants to show up at a venue that doesn’t align with their values like treating others and nature with respect. At Playa Viva, you can be sure that your yoga retreat is being held at a location that values sustainability, community and the environment. ● Private Paradise – Many leaders don’t want to be in the middle of a busy venue or area where their group will get lost with other vacationers. At Playa Viva, you have a private beach with 200 acres and miles of private beach. Your yoga retreat won’t have any unnecessary distractions. ● Dietary Details – Does your yoga retreat site offer delicious vegetarian, vegan and gluten free options? Playa Viva has a farm-to-table program with its own garden, relationships with local farmers and suppliers who can cater to your specific yoga retreat dietary requests. Guests can even participate in cooking classes in the open kitchen. 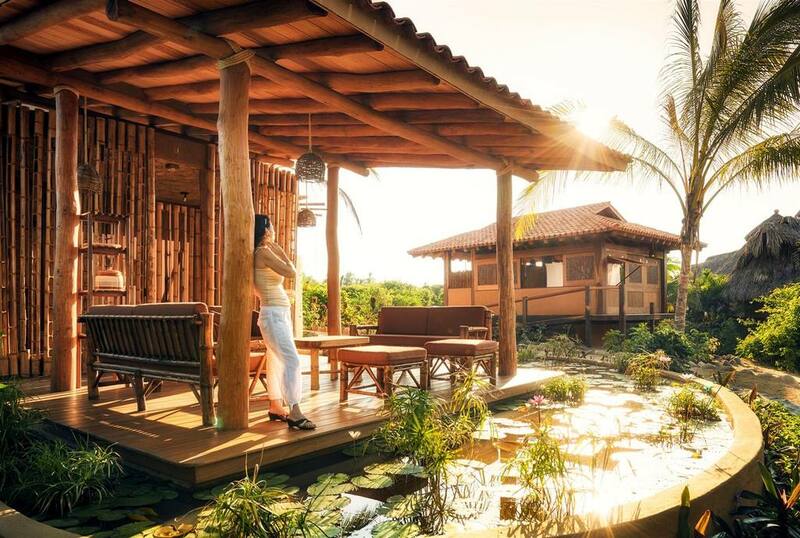 ● Easy Access – Your yoga retreat should be far enough away to be considered an escape, yet close enough so that your guests don’t have to take a 4-hour boat or car ride after the plane lands. Playa Viva is just a 35-minute drive from Zihuatanejo-Ixtapa Airport, which keeps the larger crowds away and ensures a special location for your yoga retreat attendees. Playa Viva is located near the small village of Juluchuca, on the Pacific Coast of Mexico, in the State of Guerrero. A 35-minute ride from Zihuatanejo / Ixtapa International Airport (ZIH) which is served by over 50 direct flights per week with half from Mexico City and the remaining flights from major North American airports including Los Angeles, Minneapolis, Dallas, Houston, Phoenix, Denver, and Calgary. As a hotel guest, you’ll receive complimentary* airport ground transport.